Doesn’t dad have enough ties and slippers? So why not get him something he really needs for Father’s Day this year? 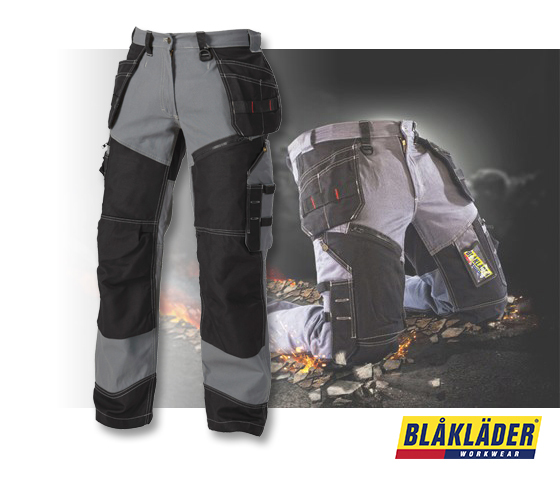 Blaklader workwear is engineered to make craftsmen more functional and productive. Whether he’s in a home workshop or on a jobsite, Blaklader has a built-in kneepad system and exterior tool-bearing pockets that help him get the job done faster. With triple-stitched seams and heavy-duty fabrics like Cordura®, this year’s Father’s Day gift will last for years. So show Dad he only deserves the best – with high-quality functional workwear. Click the link to shop The Workwear Store’s full line of Blaklader Workwear.